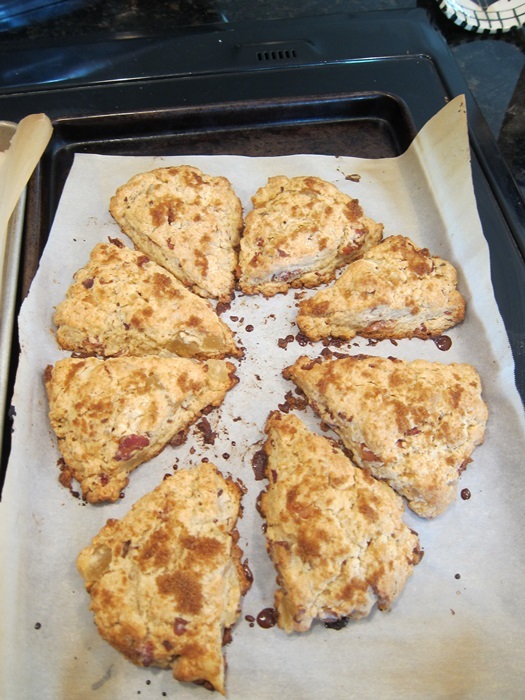 The second thing I made with the candied fruit I was given by Paradise was these scones. I really don’t think I would change anything about them, the flavors all go together really well. Two thumbs way up! 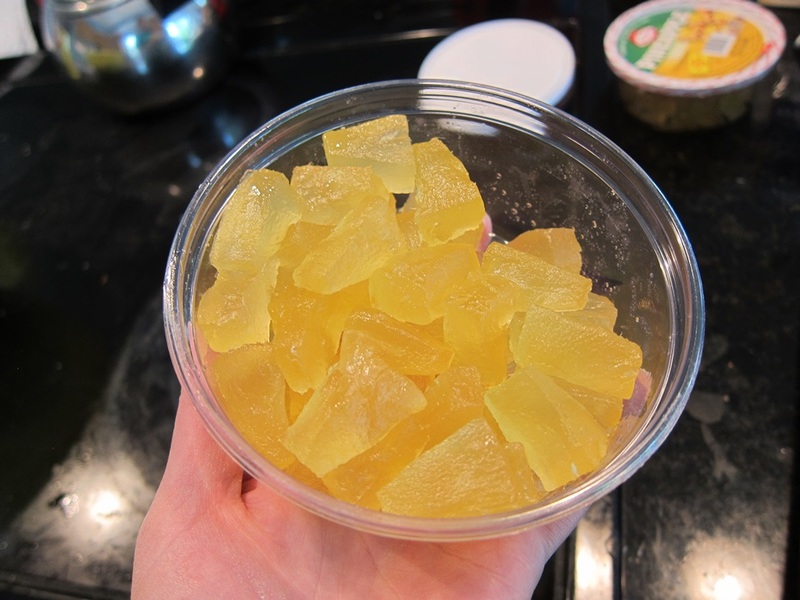 Chop the butter into 1/2″ cubes, throw the cubes in a bowl, and put in the freezer. Line two baking sheets with parchment and set aside. Cut the bacon into small pieces and cook until browned and crispy. My preferred technique is to cut the bacon with kitchen shears right into a pan on the stove. 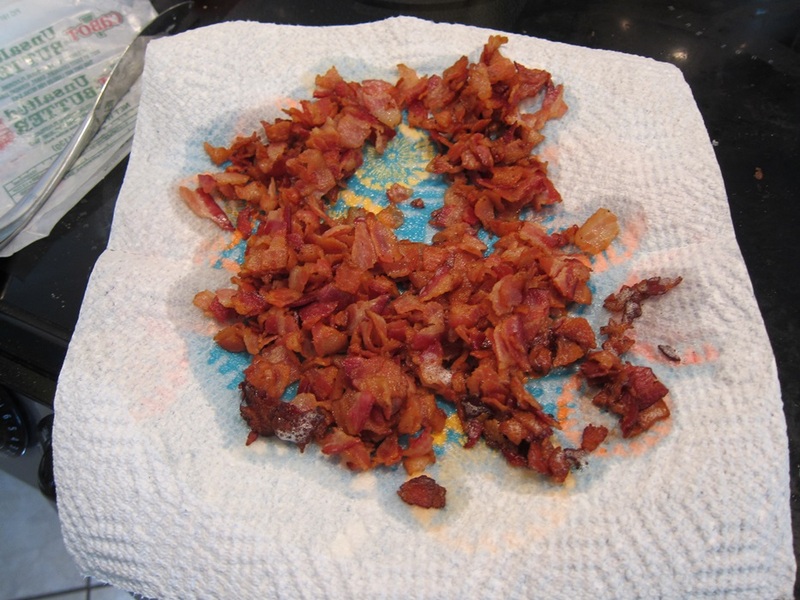 Drain off the grease and set aside on some paper towel to dry further. Stir together the flour, brown sugar, baking powder, and salt. 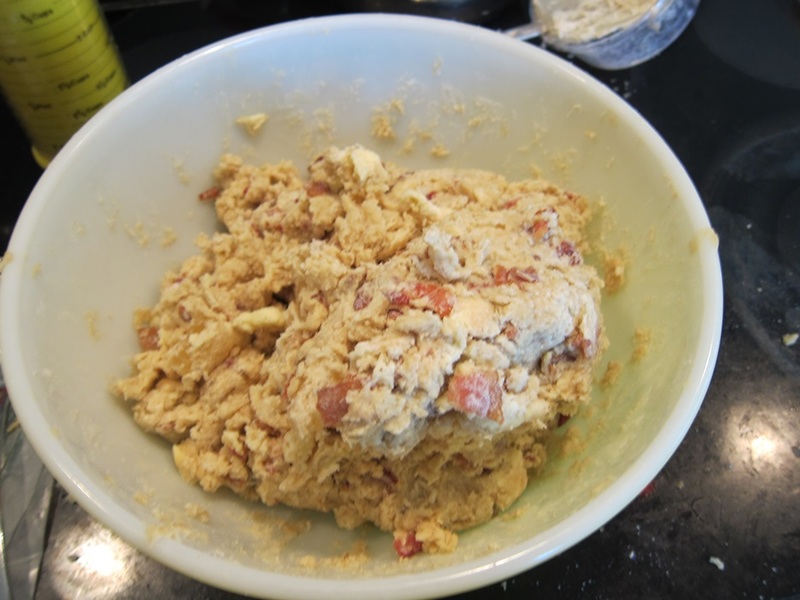 Take the butter out of the freezer and stir it into the flour mixture. 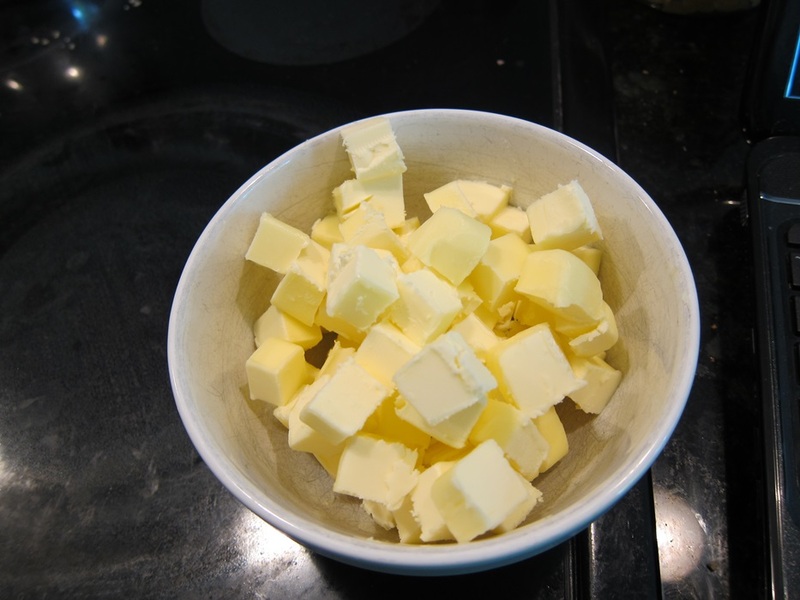 Using your hands, squeeze each cube of butter until flat, making almost a leaf of butter. Continue until all the butter has been squeezed thin. 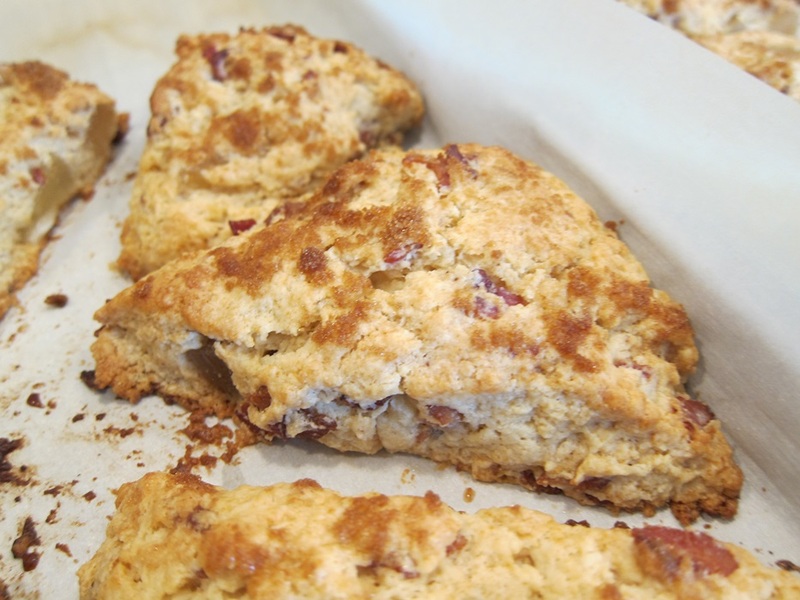 This will help your scones be flaky. Stir in the bacon and pineapple. Pour in the cream and stir until just evenly moistened. It may be easier to keep using your hands, and you’re going to have to use them again in a minute, so you might as well. Bake 20-22 minutes, rotating pans once in the middle, or until browned and firm. I’m really pleased with these! Everything about them was delicious. Thanks again to Paradise for the fruit! PS: If you want to know what I googled while writing this post, it is this. Cut the bacon into small pieces and cook until browned and crispy. Drain off the grease and set aside on some paper towel to dry further. Stir together the flour, brown sugar, baking powder, and salt. 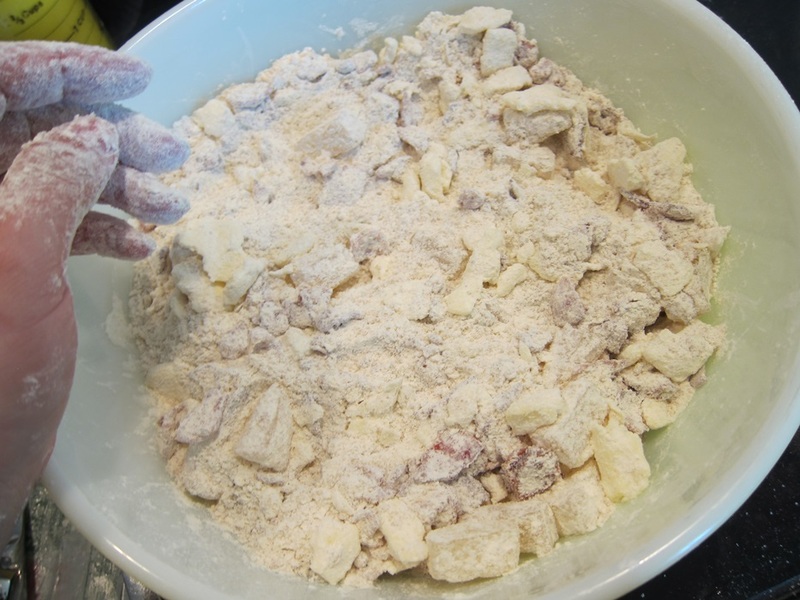 Take the butter out of the freezer and stir it into the flour mixture. Using your hands, squeeze each cube of butter until flat and thin. Stir in the bacon and pineapple. Pour in the cream and stir until just evenly moistened. 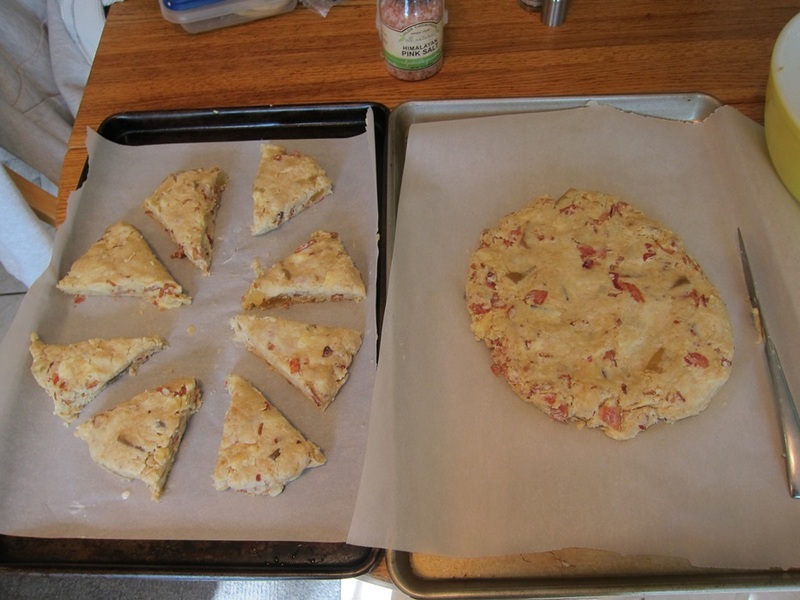 Divide the dough in half and turn out half onto each of the parchment-lined pans you prepared earlier. Shape each half into a rough circle about 3/4″ thick, pressing and patting it to the right shape. Sprinkle the top of each with a few spoonfuls of brown sugar, patting it gently into the top. 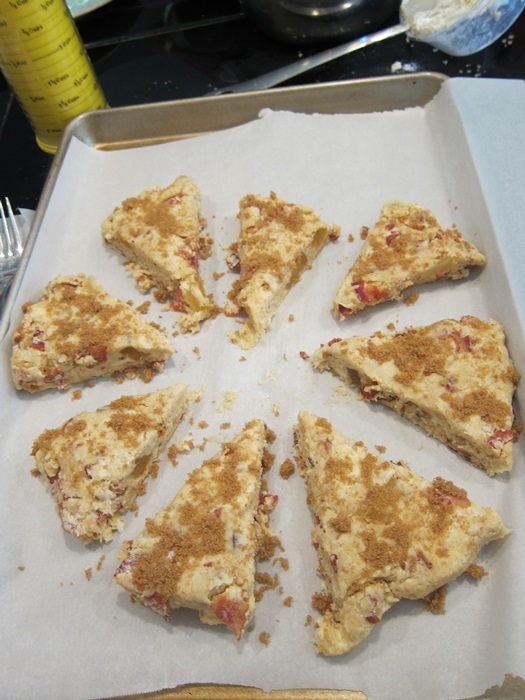 Cut both discs into 8 even parts and separate each segment, giving them room to grow during baking. This entry was posted in Breakfast, Brunch and tagged bacon, Brown Sugar, brown sugar scones, candied fruit, maple bacon, Pineapple, scones. Bookmark the permalink.